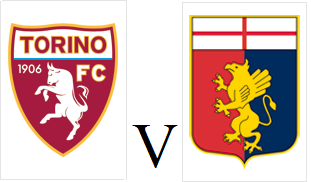 Torino face Genoa at the Stadio Olimpico in their last match of 2014 looking to end a run of six league matches without a win. Pontus Jansson is suspended after being sent off against Empoli on Monday, so Kamil Glik, who was surprisingly dropped for that game should return. Giuseppe Vives and Bruno Peres will also be looking to return to the starting eleven. Opponents Genoa have been in excellent form this season and are currently in 6th position in the Serie A table and have not yet lost a game on their travels this season. This fixture had a dramatic ending last season, as Ciro Immobile and then Alessio Cerci scored in injury time for Toro to clinch an important victory.